Enchanting and rich desirable sugilite one of the newest rarest gemstones. 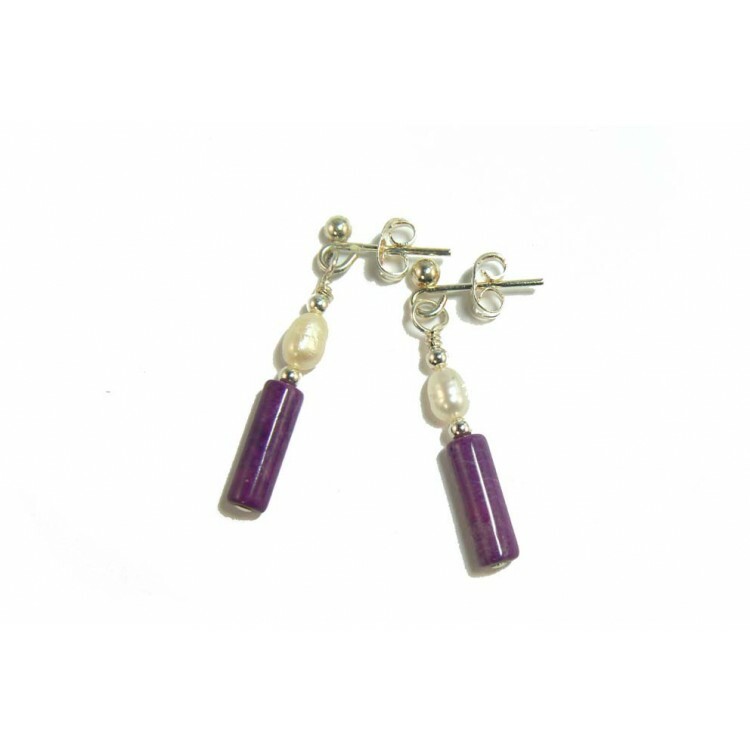 Lovingly designed with rice shaped freshwater pearls to an elegant style for those with a passion for purple. 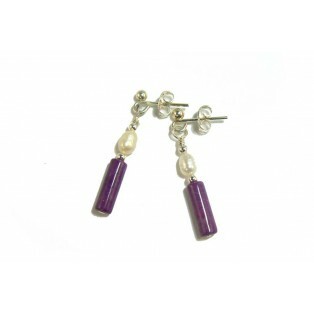 Designed with dreamlike sugilite tube beads, and rice shaped freshwater pearls. I have designed these earrings with the petite lady in mind. I have used tiny silver spacer beads to separate the sugilite beads from the pearls, and attached them to silver plated "nickel free" earring posts and scrolls, to comply with EU directives.